Founded at the start of the 20th century, Bariloche is set at the feet of the Andes and surrounded by three lofty peaks, all over 2,000 m in altitude. If one were to purposely design the postcard-perfect mountainous destination, one could never dream up such a magnificent setting. Nicknamed the Switzerland of South America, Bariloche is Argentina’s premier mountain retreat and a phenomenal winter skiing destination. 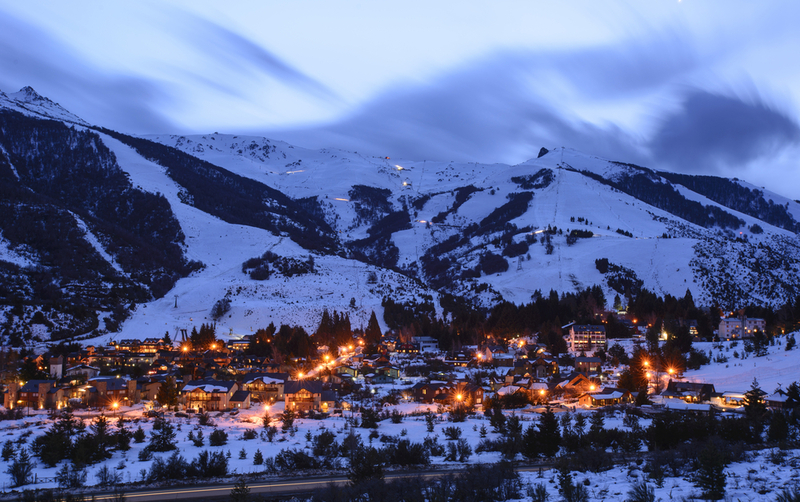 It boasts stunning alpine architecture, a plethora of adventure sports options, drop dead gorgeous scenery at every turn and, if that’s not enough, about the best chocolate in the whole continent. 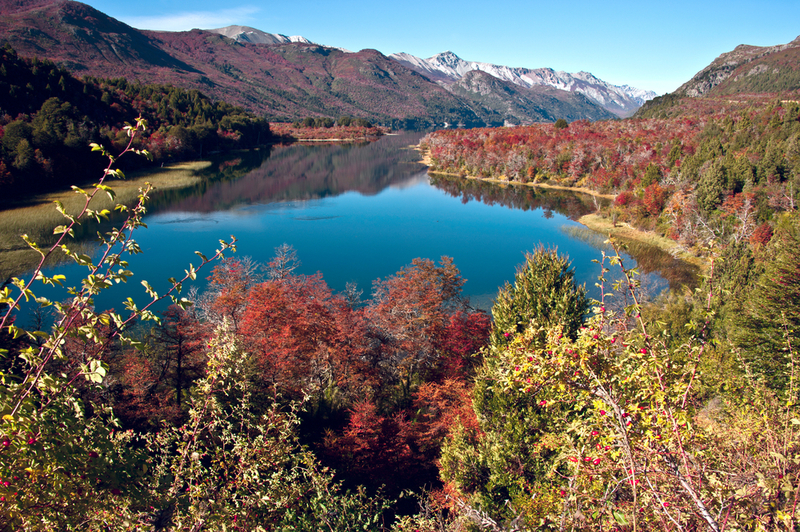 Aside from its incredibly outstanding beauty, Bariloche’s main draw is its endless array of attractions and activities. The scenery may first attract visitors in the first place, but it’s the fact that one can totally immerse oneself in the outstanding wilderness that keeps people here for days on end. From hiking to mountain biking, exceptional horseriding, kayaking, rafting and skiing, there are literally 1001 things to do here, no matter when you visit. What Are the Best Bariloche Highlights? The epicentre of the action is Bariloche town itself, a charming hub of beautiful architecture, fab shopping, interesting museums, a gorgeous Cathedral and incredibly good cuisine to boot. This is Argentina’s chocolate capital, so your sweet senses will be corrupted at every turn, let us assure you. The Chocolate Museum is the best ‘rainy morning’ activity in which to indulge! If we could recommend anything, it is to give the town itself at least one full day, if not more. 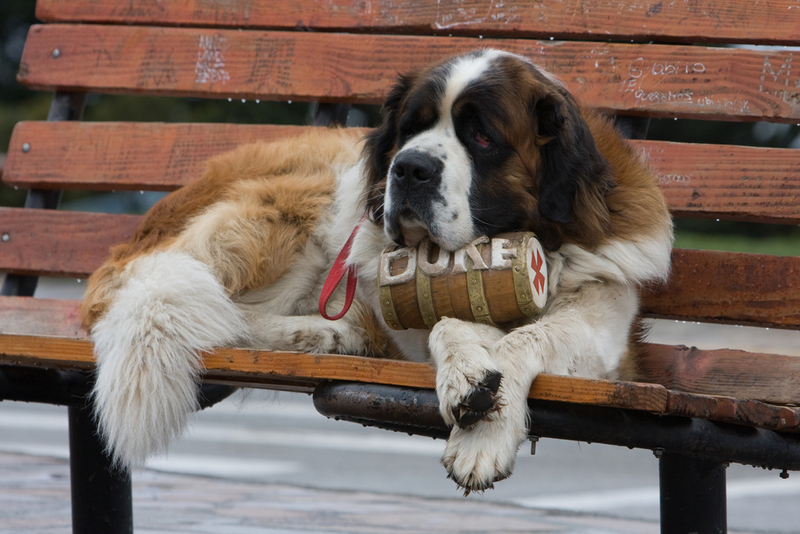 Yes, Bariloche is a great base for all excursions nearby but it is also an absolutely lovely town to explore at leisure, so factor in some time here to do nothing but wander around, sample the goodies, admire and stock up on hand-made artefacts and cuddle a few local St Bernards, of which you’ll find plenty! Once you’ve had your fill of the town, you’ll be ready for some serious fun. A year-round ideal destination for adventurous travellers, Bariloche offers copious choices for lovers of blissfully unspoilt outdoors. Cerro Catedral, the most famed skiing hub, offers world-class powder which attracts snow-junkies from every corner of the globe. The Nahuel Huapi National Park, which was the country’s first reserve of its kind, was established in 1934 and offers endless options for hiking, mountain biking and horseriding. Brimming with picturesque lakes, glaciers and waterfalls, the colourful forest-filled park is a stunning sight, especially when drenched in superb autumn colours. 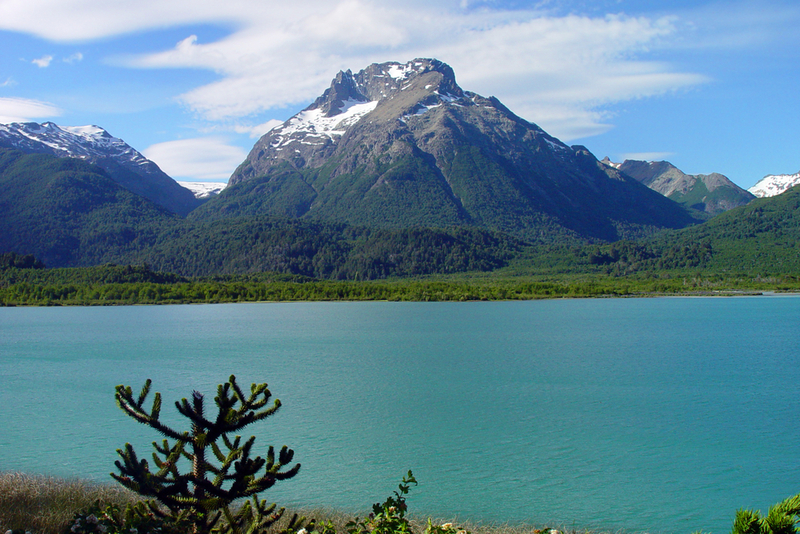 During the summer months, you’ll find Bariloche an incomparable hiking destination, with treks to extinct Cerro Tronador among the most popular day-long outings. 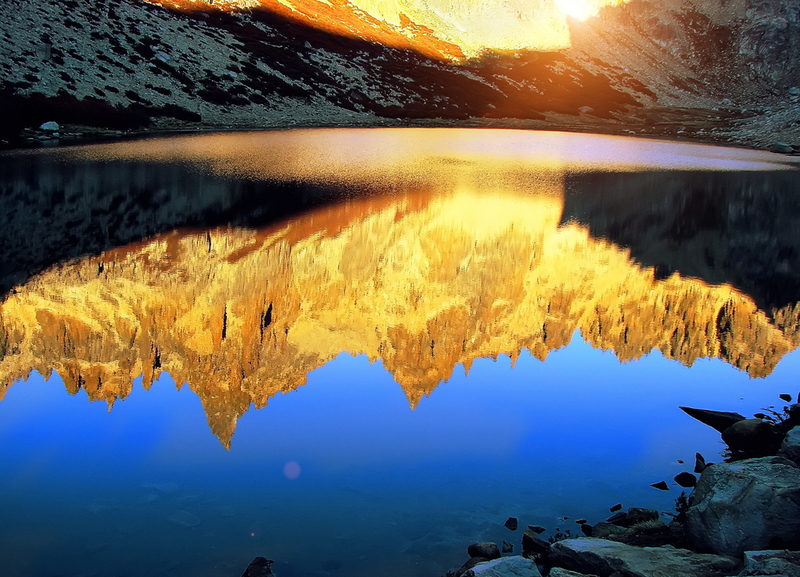 Sparkling turquoise lakes and glistening glaciers dot the ethereal landscapes here. Spend your last afternoon kayaking on Lake Gutierrez and don’t forget to take along a picnic basket of locally-made treats. Fishing here is top-notch and all the equipment you’ll need can be easily rented from town. What’s the Best Way to Visit Bariloche? San Carlos de Bariloche’s International Airport has connecting flights to El Calafate, Mendoza, Cordoba and Buenos Aires and, from here, to every other corner of the world. The ease of access is arguably what makes this such a popular place to visit in Patagonia, because with a mere couple of hours’ flight you can reach one of the most remarkable yet remote highlights in all of South America. If you have time up your sleeve, then consider including a visit to Bariloche on a longer overland (or over lake!) expedition. The Andean Lake Crossing is one of Latin America’s most spectacular journeys, taking you from Bariloche to Puerto Varas, in Chile, over 2 unforgettable days. Crossing the Lakes District not only grants you a totally different perspective of Patagonia but also gifts you the invaluable chance to combine it with travels through Chile. 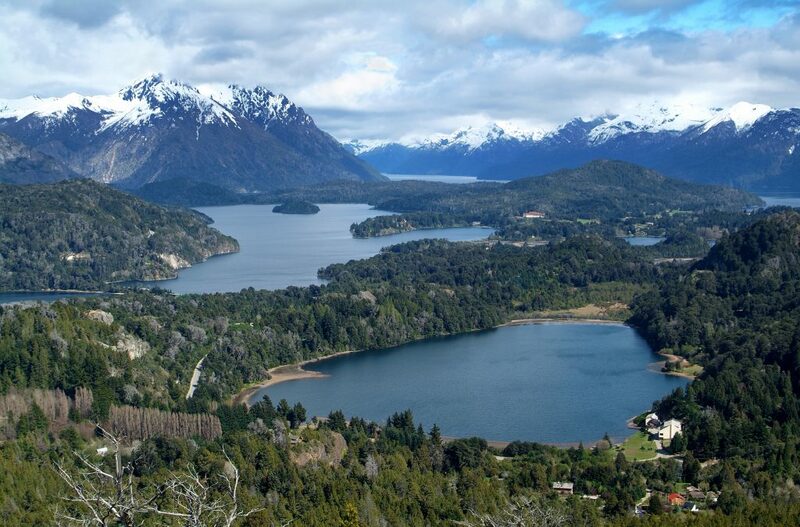 On a Santiago to Bariloche Overland tour you can soak up the splendid Patagonia views for an entire week, visiting exceptional wine regions and squeezing in plenty of adventure activities along the way. 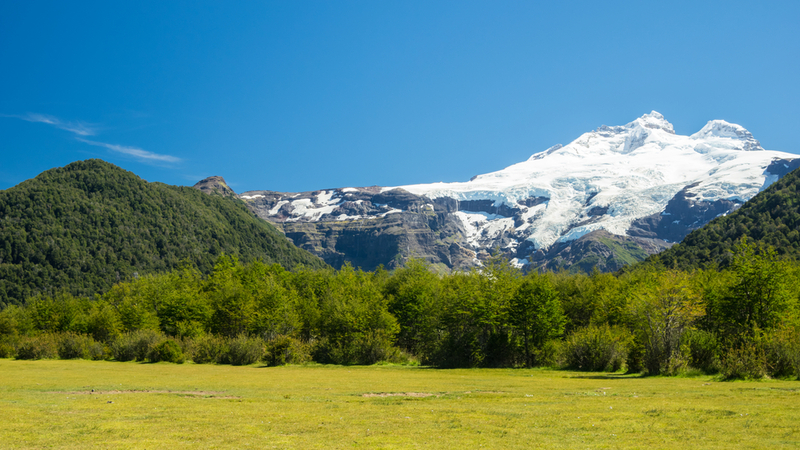 As this region of Patagonia is so incredibly enticing, there are also multiple options to take overland routes through some of the remotest regions. 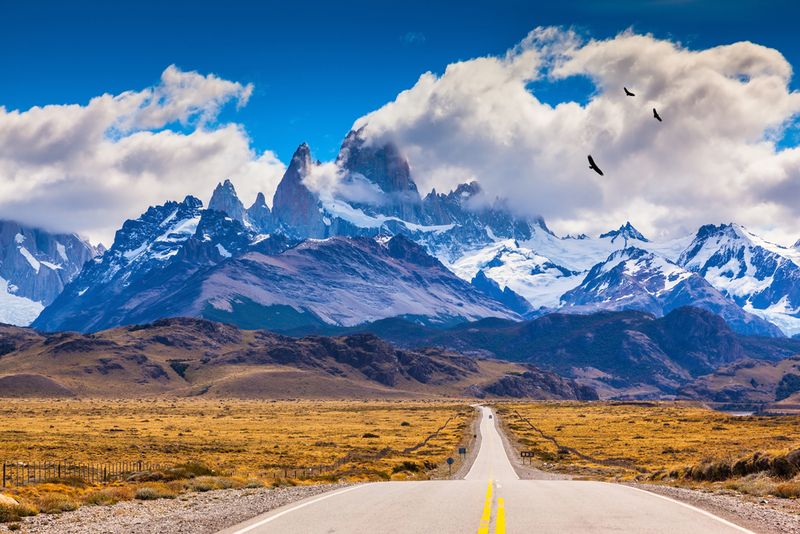 A one-week Bariloche to El-Chalten adventure, for example, will see you drive along iconic Routa 40 and the Carretera Austral. How Long Should You Spend in Bariloche? One could spend months on end in Bariloche and still find unique things to do on a daily basis. The area is really that diverse and so chock-full of attractions and activities that the only reasonable answer would be ‘as long as you possibly can’. On average, however, most visitors will spend 4 days here, choosing 2 full-day active excursions (like horseriding or hiking) and alternating those with a one-day tour of town and its historical and cultural attractions, and one day’s outing on 4WD to nearby waterfalls and drop-dead gorgeous scenic viewpoints. Luckily, you’ll be able to indulge in Bariloche’s delectable foodie scene at the end of every exciting day. What’s the Best Time of Year to Visit Bariloche? The ideal time to visit Bariloche will very much depend on what it is you wish to do, with the town and entire region open for tourism all year long. The major differences between seasons – aside from obvious activities like winter skiing – are transport options. There are times of the year when overland travel is tricky due to bad weather causing disruptions to access roads in the remotest regions, so do check with us if you wish to overland to or from Bariloche. Summer in Bariloche is about as good as it can get for those who wish to do everything except ski, with a swarm of options for hiking, horse riding and mountain biking. 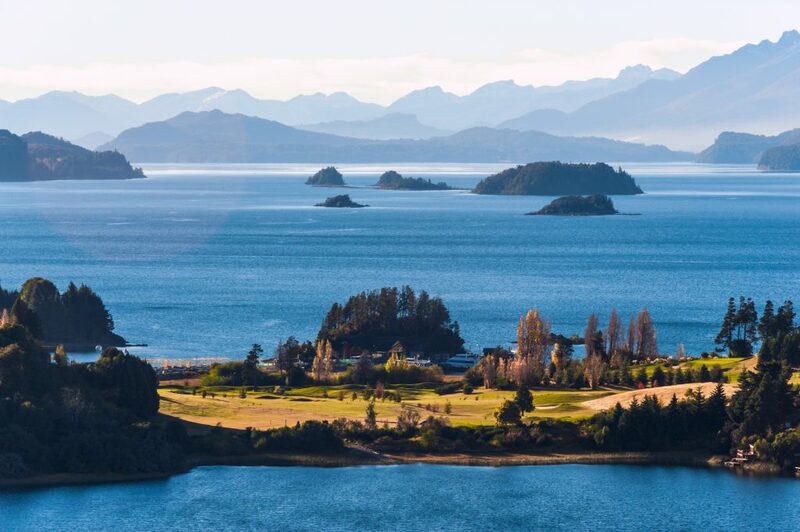 Sunbathers will love spending the day on Playa Bonita, no doubt, and the most adventurous can also take a plunge on Lake Nahuel Huapi, whose temperature doesn’t rise much above 15 degrees Celsius, even at the height of summer. Don’t forget that summer nights are still quite cool in Bariloche, so refer to out parking tips below before leaving home. 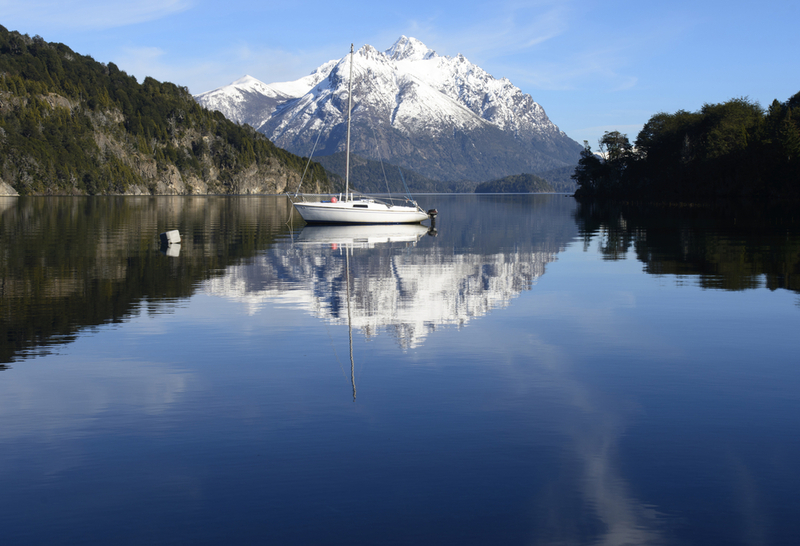 The shoulder months of October and November are ideal for those who still wish to indulge in active outings but want to find a quieter Bariloche. Temperatures are already quite pleasant then and most activities will start in earnest from the beginning of October, all the way up until about the end of February. 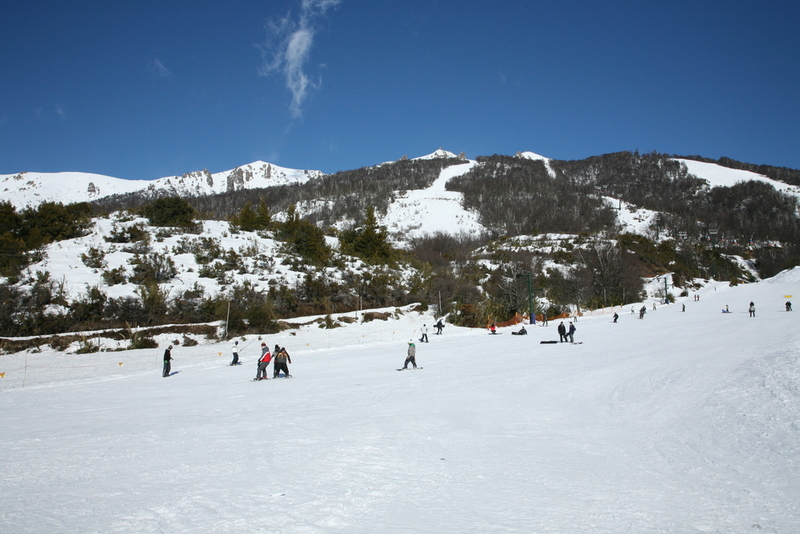 If skiing in Bariloche is at the top of your wish-list, then winter will obviously be your dream-time to visit. From about the middle June, all the way to October, you’ll find superb skiing in Bariloche, with 2m snow cover sometimes extending right until the end of the season. August is very much high-season in Argentina’s revered winter wonderland, whereas the months of May and November, which fall in that sweet spot of in-between seasons, can also be immensely rewarding. What to Pack When Visiting Bariloche? Layered dressing is the key for all visits to Patagonia and Bariloche, no matter the time of year. This far south the weather is notoriously unpredictable and, considering all indoor spaces are climate controlled, it makes sense to dress in layers to facilitate peeling. The second most important thing to keep in mind is that sensible and functional clothing should always take precedence in Bariloche. Sure, pack the pretty frilly top fun nights out in Buenos Aires, but for your jaunt to Bariloche you should also pack functional trousers and tops made of warm, quick-dry fabrics. Here at Chimu, we’ll help you pack like a pro for your Bariloche visit and organise an unforgettable journey of discovery to all your most desired destinations, all over Patagonia and beyond. Check out our amazing collection of tours and trust us to plan your once-in-a-lifetime trip to one of South America’s most astounding regions.